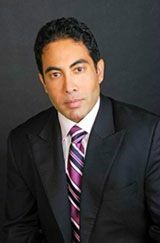 Dr. Khan received his Doctor of Medical Dentistry (DMD) degree from the University of Kentucky, and Medical Degree from the University of Miami. He completed his residency, as well as his General Surgery Internship, at the University of Miami where he also served as Chief Resident in Oral and Maxillofacial Surgery. Dr. Khan is an active member of the staff of Northside Hospital in Atlanta and Atlanta Cosmetic Surgery and Reconstruction Center. Dr. Khan has gained the very prestigious level of Fellow of the American Board of Oral and Maxillofacial Surgery. He also serves as an Assistant Professor of Oral and Maxillofacial Surgery at the Medical College of Georgia. Dr. Khan has an extensive list of awards, honors, and academic achievements; academic honors including: Oral and Maxillofacial Surgery research award in recognition of outstanding academic achievements Scholarship for outstanding academic excellence at the University of Kentucky College of Dentistry Dr. Khan has extensive training in Full Body Augmentation and enhancement procedures. He has Co-Authored many books and publications on dentoalveolar surgery, facial trauma, and micro-surgical nerve repair. He is an expert in his field of surgery and excellent with patient care.